Wheel tracking or wheel alignment, is a service which is periodically required to ensure that your vehicle’s wheels are aligned to the correct settings for performance, driveability and tyre wear – as per the vehicle’s manufacturer’s specifications. If your vehicle’s wheels are ‘out of alignment’ this will likely result in irregular tyre wear and at an increased rate, possibly to the point of affecting the handling and in bad cases, the safety of the vehicle. Alignment issues can occur over time by natural wear of suspension components & bushes, and these sometimes need replacing. Bad habits can also cause ‘out of alignment’ issues, such as riding up curbs, curbing or scraping the curb, failing to avoid pot holes and other such shocks to the suspension system of the vehicle. Keeping an eye on wheel alignment can save money in terms of tyre wear, and indeed fuel efficiency so look out for uneven tyre wear towards the inside or outside of the tyre. 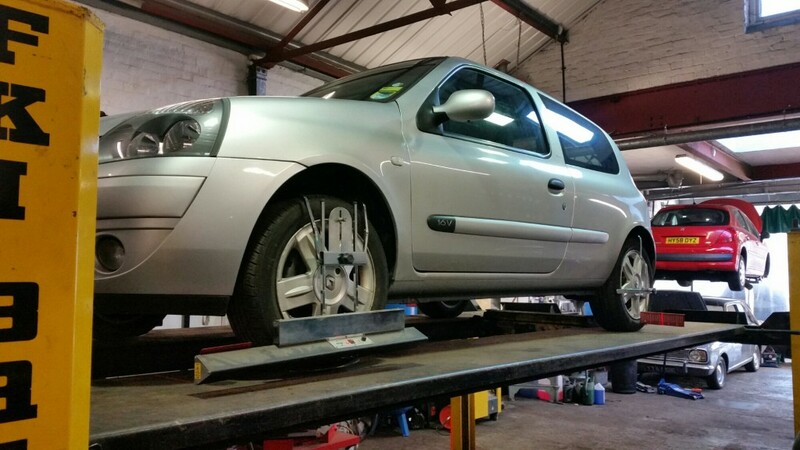 If you have more wear on one side than the other, you almost certainly need a wheel alignment session. 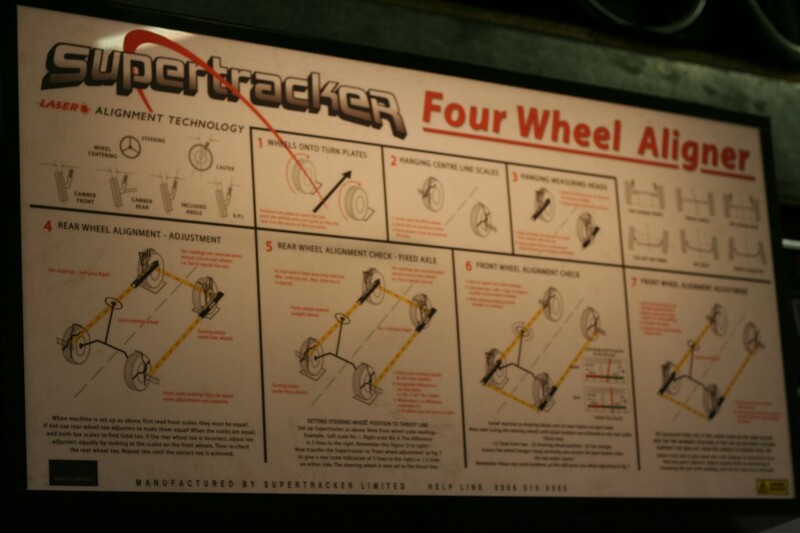 Aqua Garage Services use a professional SuperTracker 4 wheel system, and the available adjustments – depending on the vehicle are Camber, Caster, Thrust Line, Toe in and Toe out. 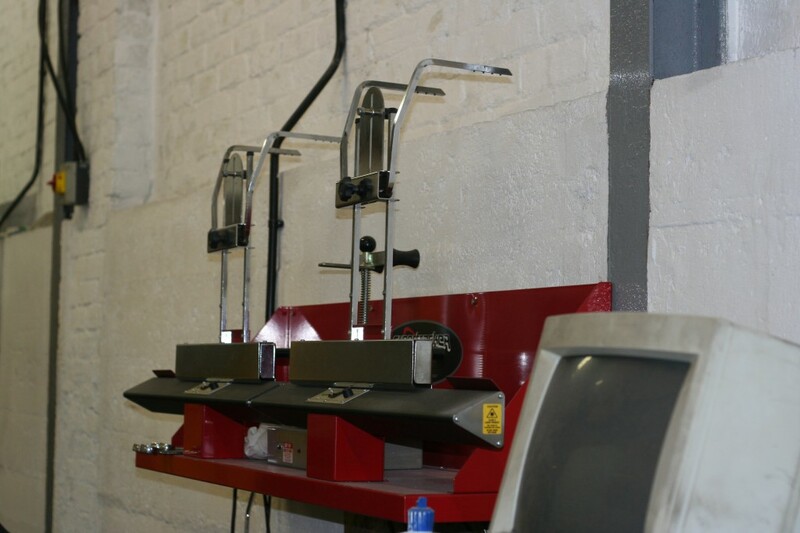 Remember that correct wheel alignment minimises uneven tyre wear, improves handling and saves money in the long run. Southsea, Milton & Eastney Garage Services: Mitsubishi L200, '57 MG Magnet, 2005 golf tdi, New Transit Step and more!